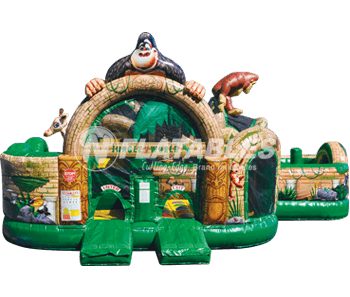 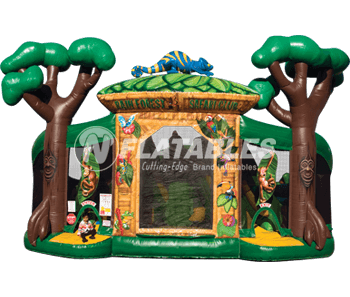 Kids can monkey around all they want in this cleverly-themed bouncer! 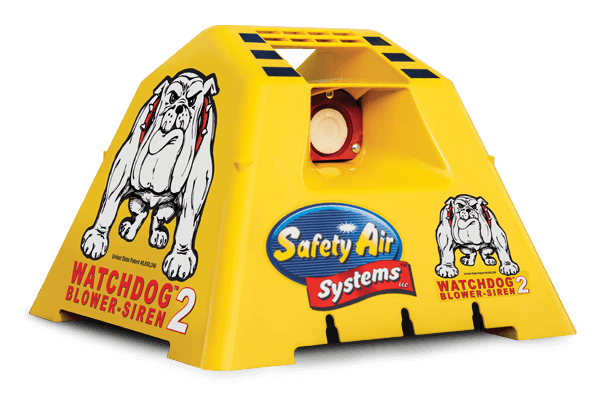 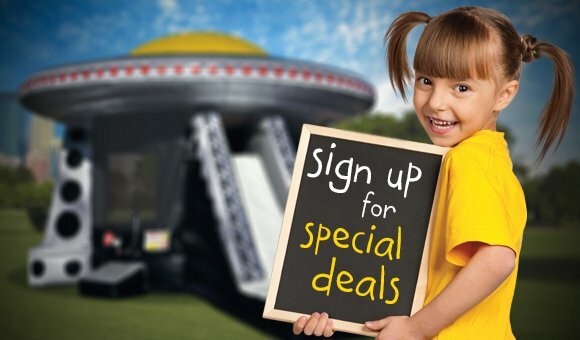 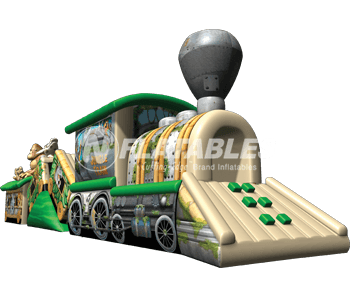 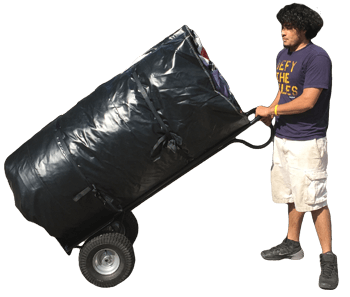 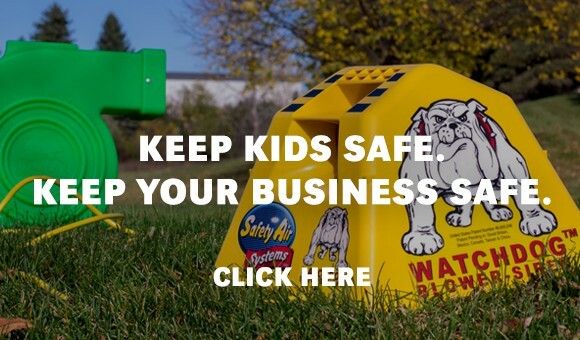 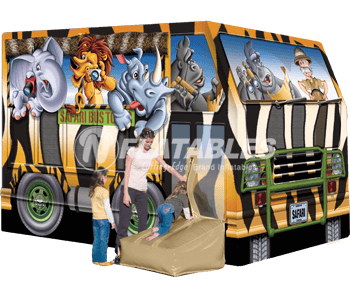 This inflatable bouncer features high-end digital graphics and our exclusive Vertical Safety Support device (U.S. patent #7,108,608 B2), a special inflation cylinder that actually supports the roof of the inflatable in the event of a power loss. 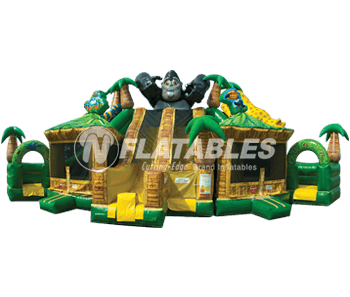 Bouncer of Monkeys™ from N-Flatables.